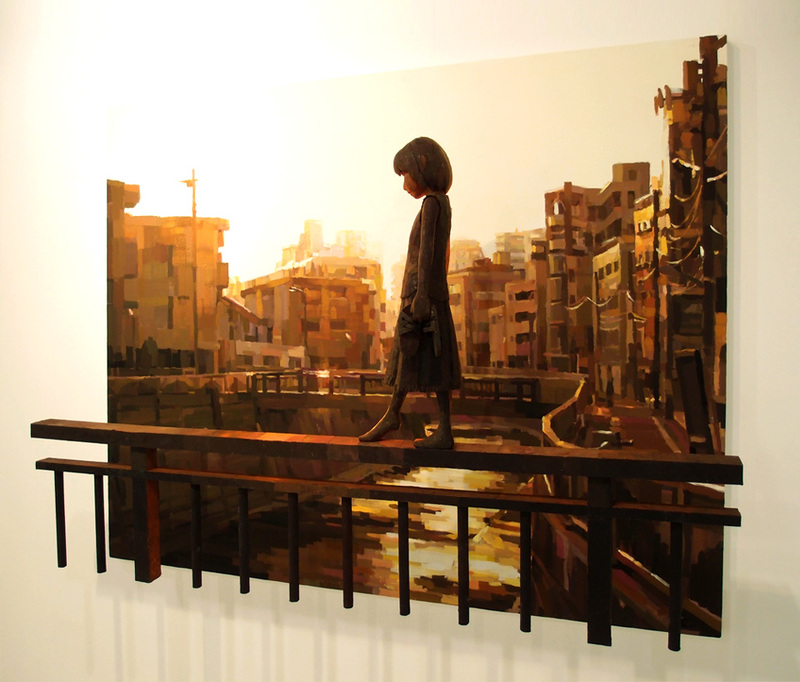 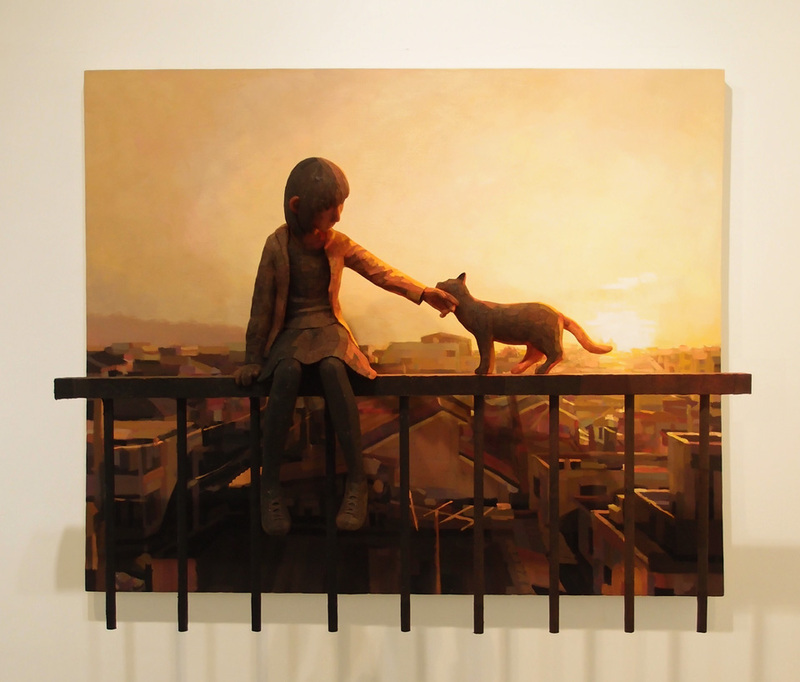 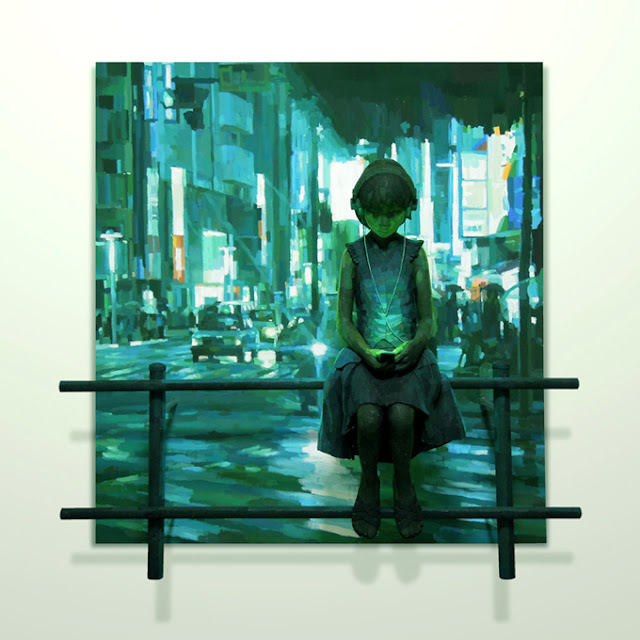 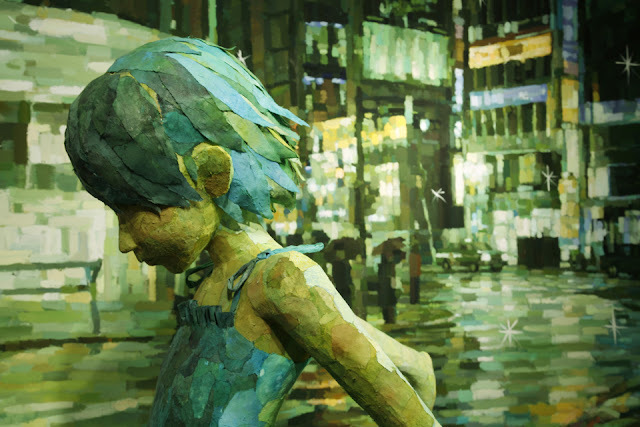 Shintaro Ohata is an artist, born in Hiroshima in 1975, who depicts little things in everyday life like scenes of a movie for example that of convenience stores at night, city roads on rainy day and fast-food shops at dawn etc. 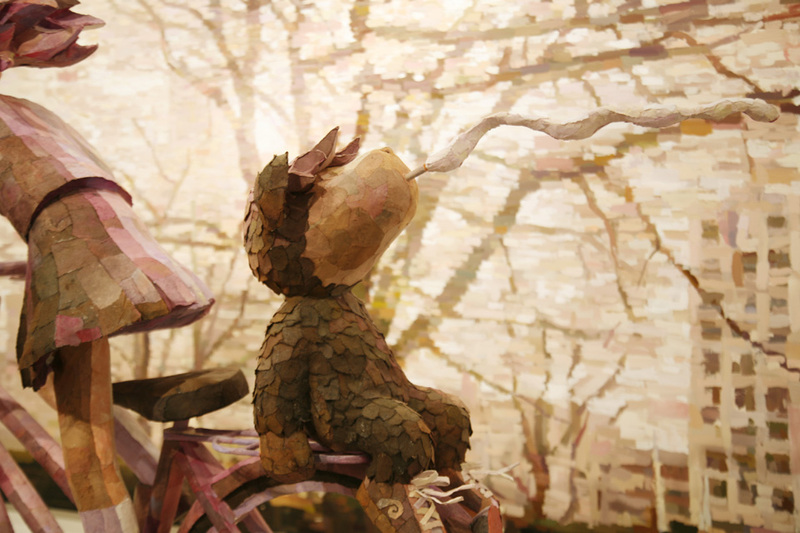 What brings magic to these scenes, though, is the light. 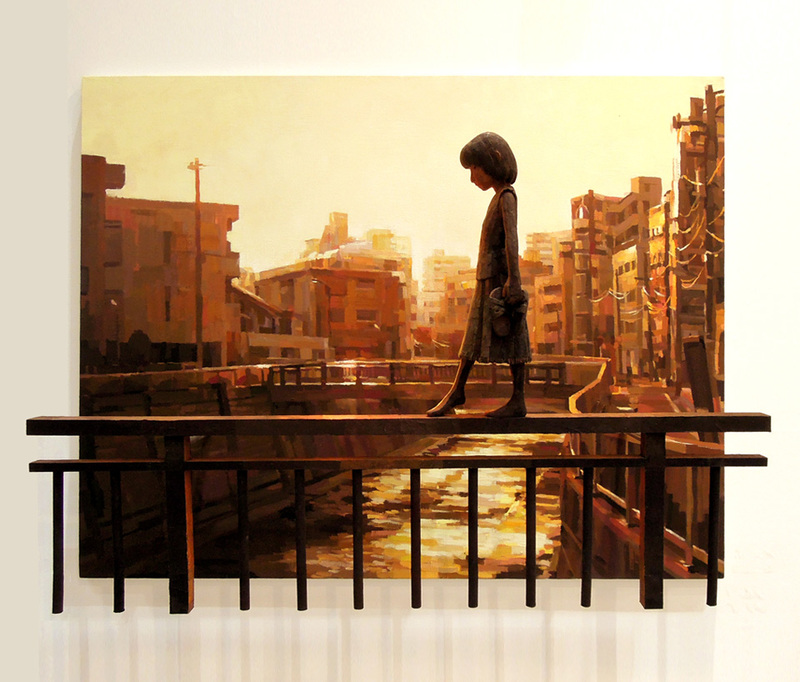 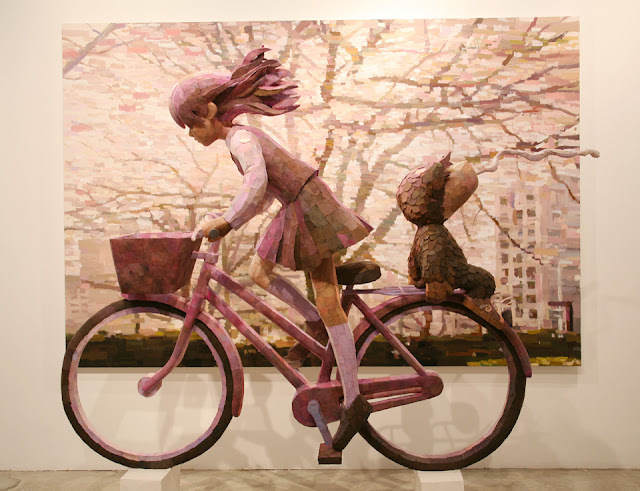 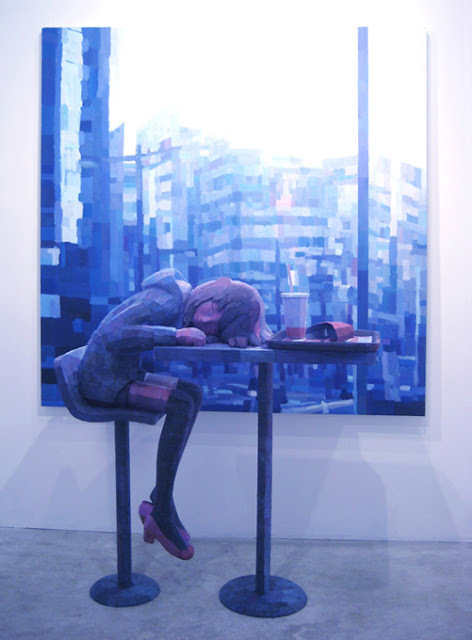 He is also known for his characteristic style; placing sculptures in front of paintings, and shows them as one work, a combination of 2-D and 3-D world. 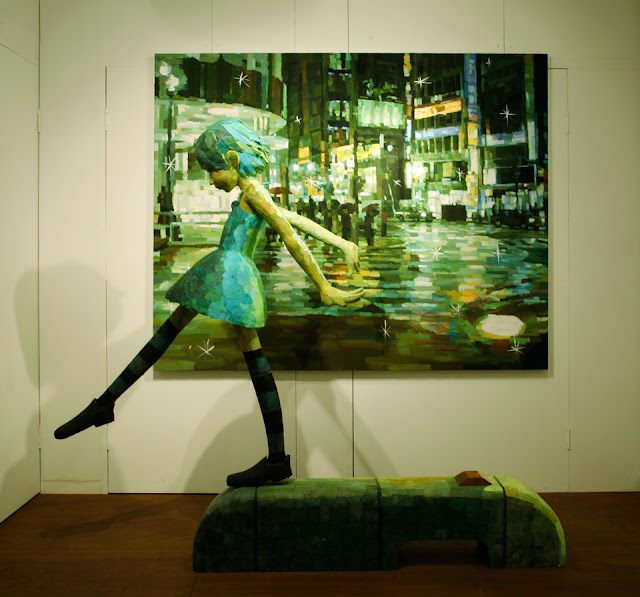 He says that it all started from when he thought that he could bring the atmosphere or dynamism to his paintings in a different way if he placed sculptures in front of paintings. 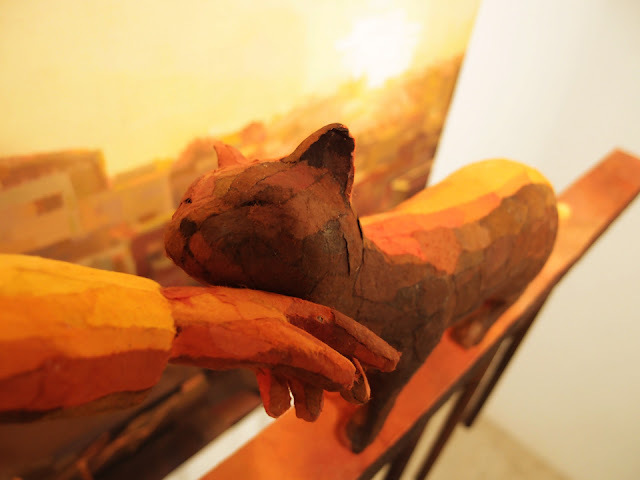 I quote from his site, "Many viewers tend to assume that there is a light source set into his work itself because of the strong expression of lights in his sculpture." and I completely agree. 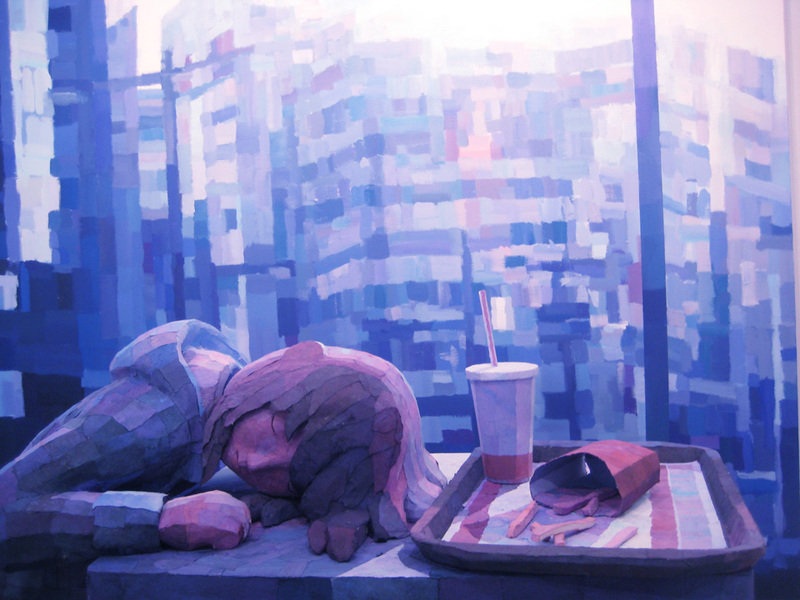 It's almost as if the artist opened a window to another realm of reality and a character stepped out of that world just for our viewing pleasure. It's a combination of a realistic background with a person painted in an impressionist way. 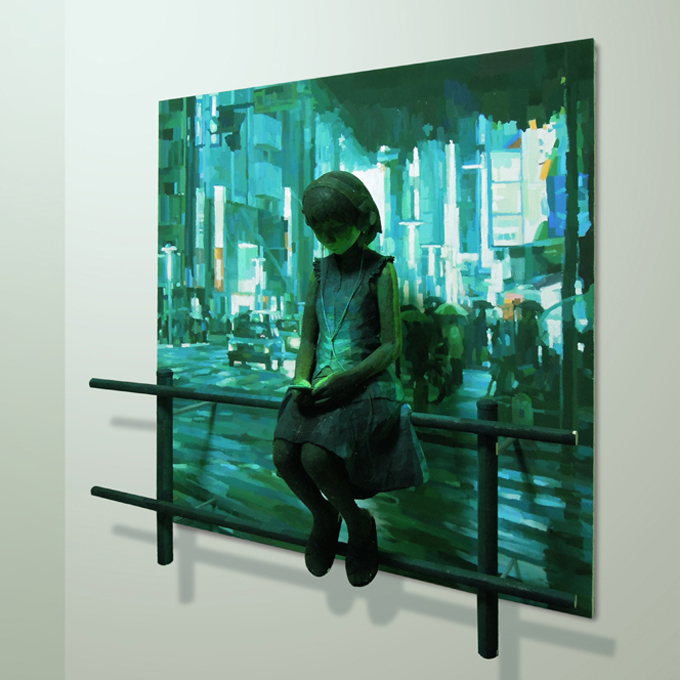 The colours are very well chosen for each piece and I am left wanting to see more.